LifeCell, India’s largest and most accredited stem cell banking company today announced the launch of world's most affordable stem cell banking solution. Umbilical cord blood stem cells have been used for over 25 years for more than 30,000 successful transplants world over. This announcement coincided with the global observance of the 25th anniversary year of stem cell treatments using umbilical cord blood. 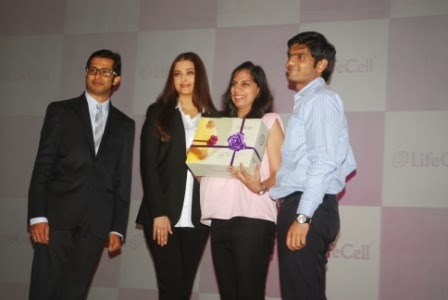 Aishwarya Rai Bachchan, a patron of LifeCell and goodwill ambassador for stem cell banking reinforced the value of stem cell banking on the occasion and stated this as the best gift parents can give to their child. With over a lakh of children’s stem cells banked in India, the private stem cell banking industry in India stands at Rs. 200 crores and is estimated to touch Rs. 2700 crores by 2020, accounting for 17 percent of the world’s market. 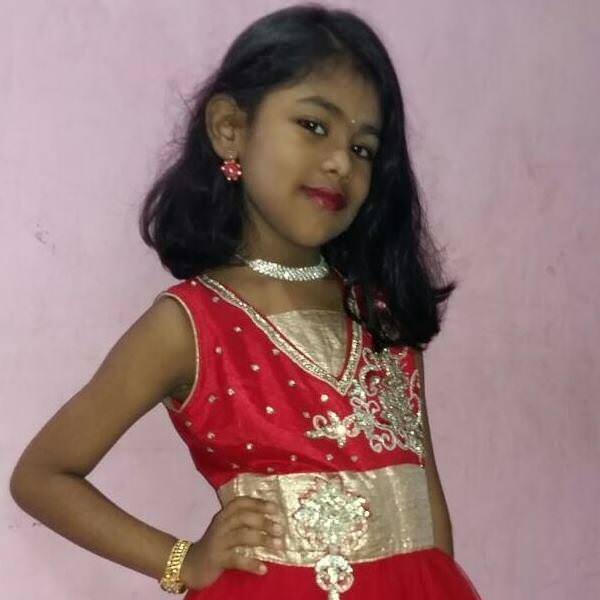 More and more parents are recognizing the importance of banking their child's umbilical cord blood in the event that their child needs a lifesaving transplant treatment in the future. Mayur Abhaya, Managing Director & CEO, LifeCell said “At LifeCell, we understand the importance of educating expectant parents about the value of umbilical cord banking and are committed to reaching out to a maximum number of families. We are proud to celebrate 25 lifesaving years of umbilical cord transplant globally by offering parents a once-in-a-lifetime opportunity to bank their baby's cord blood at the most affordable prices. We currently have over 80,000 customers in India who have preserved their baby’s stem cells with us and we see this growing many folds over the next few years aided by awareness and affordability, thereby potentially making us from India’s largest stem cell bank to the world’s largest stem cell bank." Umbilical Cord Banking is becoming increasingly popular for expecting parents as a unique form of insurance since it provides them the assurance about their child’s safe, healthy and secure future. 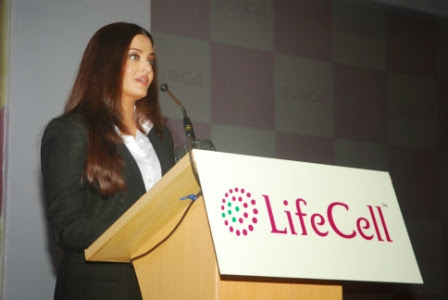 As a Patron of LifeCell and Goodwill Ambassador for Stem Cell Banking, Aishwarya Rai said "It is a privilege to educate expectant parents on the significance of banking umbilical cord stem cells since it can secure your baby’s future health against many serious medical conditions. Also advancing stem cell research would only increase the benefits”. Some other celebrities who have chosen LifeCell for their children include Hrithik & Suzanne Roshan, Raveena Tandon & Anil, Manyata & Sanjay Dutt and Madhavan apart from many others. The umbilical cord has been the number one source of stem cells for treatment of children in US & Japan and umbilical cord banking is regarded as an essential service globally. 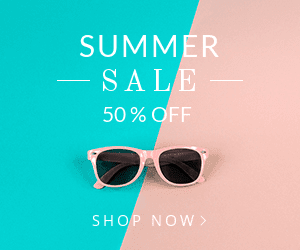 In 2005, there were less than 25 stem cell banks worldwide, but now in 2013, there are approximately 500 banks globally with one bank in almost every major country. LifeCell is the first company to bring the revolutionary concept of umbilical cord stem cell banking to India in 2004 in technological collaboration with Cryo-Cell International. Since then, LifeCell has been a leading cord blood bank providing transplant quality stem cells that can be used in thousands of successful treatments. Laws have been enacted in the US to create awareness on cord blood banking, and financial aid is provided in countries like Singapore. India lags behind world indicators significantly with extremely low public cord blood units and lack of bone marrow donors. Therefore, there is a dire need to address both awareness and affordability to increase adoption of stem cell banking. The umbilical cord is rich in life-saving stem cells that can only be collected at birth and can be preserved for a lifetime. Umbilical cord banking is a safe and simple procedure wherein the baby’s umbilical cord blood and tissue are collected within 10 minutes after the baby is born. This procedure causes no harm to the mother or baby. The collected sample is transported to the laboratory where it is processed, and preserved in a safe and secure environment at minus 196 degrees centigrade. These stem cells have the potential to treat over 80 medical conditions including blood disorders, immune diseases with ongoing research continuing to bring about additional benefits using these cells. Moreover, these preserved stem cells can be used for the treatment of the baby’s siblings too as they are a better match and have improved outcomes, and it’s no wonder they are the #1 source of stem cell treatments for children in US & Japan. Established in 2004, LifeCell is India’s first and largest stem cell bank, enjoying the trust of over 80000 parents who have banked their children’s stem cells with the company. With state-of-the-art facilities and a spread over 100 centers in the country and footprints in GCC countries, LifeCell is also the most recommended stem cell bank by gynecologists. The company has accreditations from international organizations for standards such as American Association of Blood Banks (AABB), College of American Pathologists (CAP), WHO & National Accreditation Board for Testing & Calibration Laboratories (NABL). LifeCell is also the only player in the industry providing comprehensive stem cell solutions including menstrual stem cell banking, R&D and point-of-care stem cell therapy for orthopedic, vascular and cardiovascular specialties. For more information log on to www.lifecell.in.